Members of Boy Scout Troop 411 recounted their experiences being in the Scouts this week, sharing stories of triumph and personal development. Jami Parker, Eagle Scout advancement coordinator and former Troop 411 parent, recounted how the troop, as a member of the Mawat District of Scouts, is a very active one. She explained that in addition to the fishing, camping and boating, the troop has traveled to the Pentagon, presented flag ceremonies and completed countless service projects. 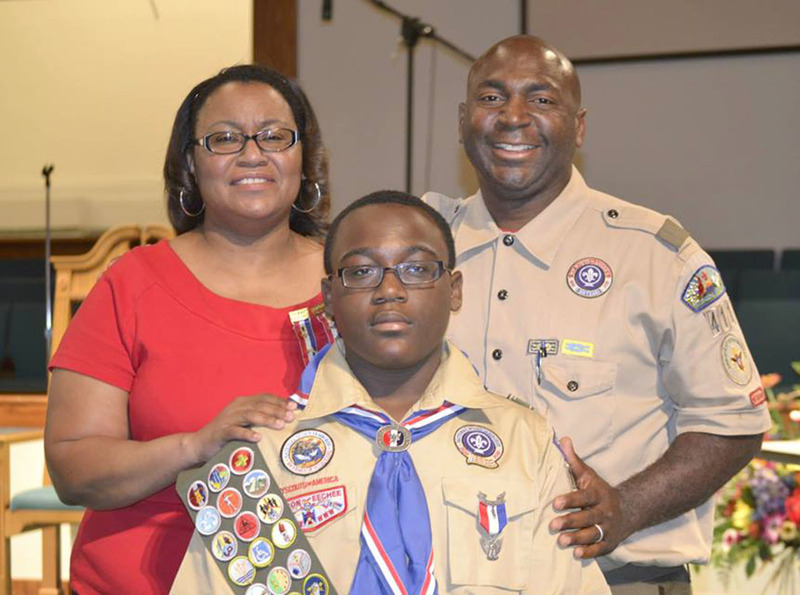 Proud parents Anthony and Sophia Perry commend their son, Joshua Perry, on becoming an Eagle Scout in August. Joshua Perry, 16, recently became an Eagle Scout, the highest rank within the Boy Scouts of America. For his required service project where he built a 30-foot walk bridge in Chapel Hill. “There’s a lot of stuff you have to be responsible for as a project leader,” he said. Joseph Perry, 14, looks up to older brother Joshua as he follows in his footsteps. “It’s helping us become men,” he said. Anthony Perry, assistant scoutmaster of Troop 411, says that his sons have benefited tremendously from being the group and describes what Joshua has done for the group and what the group has done for the community. “A lot of boys think about quitting because of things going on on the outside, but Joshua has stepped in and encouraged them and reminded them to stay focused,” he said. Since its inception just eight years ago, Troop 411 has gained recognition from the 18 other troops in the Mawat district. “Other smaller troops want to get bigger and see how we are progressing,” said Montgomery Hemsley, 15-year-old senior patrol leader of Troop 411. “We have at least one scout in all of the Durham public schools. Each troop is linked to a church, Hemsley said, and Troop 411’s is Union Baptist Church, though weekly meetings are held at the Global Scholars Academy across the street. Jeffry Ellis, assistant scoutmaster of Troop 411 and parent, recounted his experience of growing up in the Scouts and now praises what it is doing for his son and the community as a whole. Mawat District Executive Desmond Miller says the Scouts are just what this community needs. 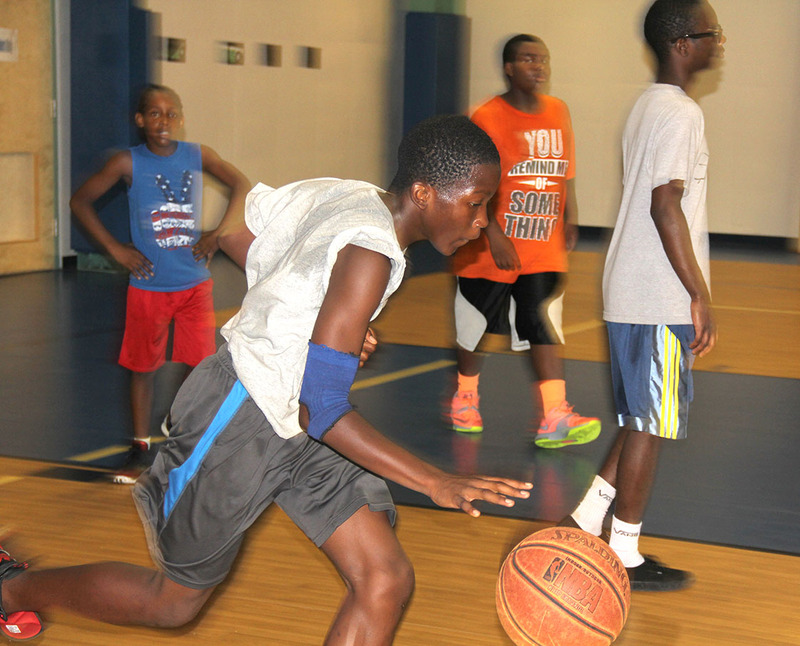 Zack serves as teen mentoring coordinator for the Durham VOICE, UNC-Chapel Hill team. He is a senior business journalism major from Greensboro, N.C. This entry was posted in Community-building, Opinion. Bookmark the permalink.